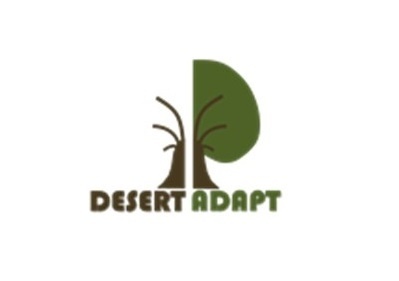 Project DESERT-ADAPT aims to contribute to the EU climate policy priority of “Climate Change Adaptation” and to a lesser extent to priority “Climate Change Mitigation”. The main objective, in line with Climate Change Adaption, is to demonstrate innovative adaption technologies with regards to land use, soil conservation and plant support. These are combined into “Desertification Adaptation Models’’ (DAM)’’, specifically designed to counter aridification and subsequent land desertification in 3 regions of Europe. These systems are taking into account climate change variables and multiple levels of structural and functional complexity of the landscape, to optimize resilience to local drivers of climate change. An overall integrative ecosystem approach is taken, to ensure that climate change adaptation targets are combined with improved ecosystem functions (e.g. carbon sequestration, water retention, biodiversity) and improved socioeconomic development. The introduced climate-resilient land use systems will also contribute to the EU policy priority of “Climate Change Mitigation”. Through recovery of vulnerable and desertified land areas, overall carbon sequestration is increased, in the soil and in above ground vegetation. Furthermore, introduced land use techniques result in lower net GHG emissions and thus a lower carbon footprint of produced products. This is further achieved by realizing short supply chains, by developing commercialization channels to nearby populations for food and other land products. Università degli Studi della Campania "Luigi Vanvitelli" (Coordinator); Forestry Service Group BV; Associaçao de Defesa do Patrimonio de Mértola; Universidad de Extremadura; Università degli Studi di Palermo; Faculdade de Ciencias da Universidade de Lisboa; TerraSIG Lda; Faculdade de Ciências Sociais e Humanas Universidade Nova de Lisboa; Município de Serpa; Municipality of Lampedusa & Linosa; REAM SRL; Societa Agricola Franco Turco; Consorzio Siciliano LeGallineFelici. ; Ayuntamiento de Hoyos; Ayuntamiento de Valverde del Fresno; Viveros Forestalis La Dehesa SL; Freguesia de Cabeça Gorda; Sociedade Agrícola Vargas Madeira Lda; Sociedade Agrícola da Sobreira Lda. Project leader: Simona Castaldi (Università degli Studi della Campania "Luigi Vanvitelli") (coordinator).